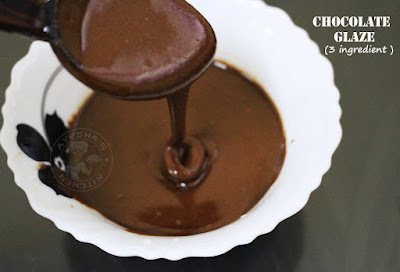 Hi friends, I am back with an easy 3 ingredients chocolate glaze recipe. 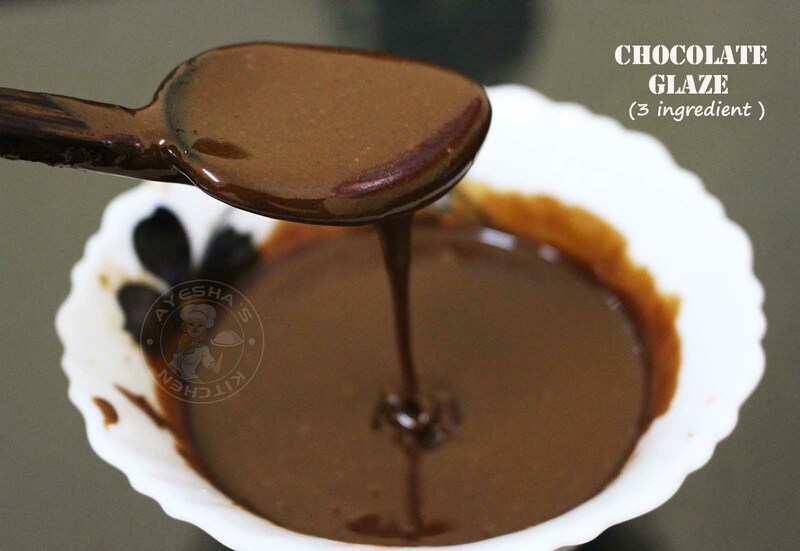 For those who are looking for a simple chocolate glaze recipe to drizzle over cakes, cookies, and desserts...this is a must try recipe. A glossy chocolate glaze with cocoa powder, icing sugar, and milk. Yeah, it sounds simple. right? If you are a chocolate lover, I hope you give this fast and delicious recipe a try soon. I am sure you will be using this recipe over and over. A glossy chocolate glaze with an excellent texture and excellent flavor. You can make chocolate glazed donut (doughnut), garnish for chocolate covered strawberries, brownies, ice creams etc. Sift the icing sugar and cocoa powder. Set aside. Now take icing sugar in a bowl. Add cocoa powder to it. Slowly stir in hot milk little by little until you get a thick consistency. Finally, add corn syrup and mix well until smooth. An easy and simple chocolate glaze for cakes or pastries.